I was looking at articles on the Families with Children from China website and read one by a lawyer talking about how our children get official documentation as proof of citizenship if they are children adopted from a foreign country. 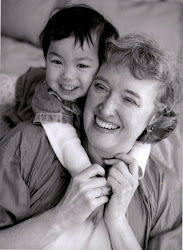 (for additional information see article at http://www.fwcc.org/ ) In the year 2000 , one of the last policies/acts Clinton signed into being was the child citizen act of 2000, which decreed that all children adopted from abroad and now residing in the US will automatically become citizens. When I adopted my daughter 6 months after this act came into being my daughter automatically became a US citizen. I had waited one year before my citizenship paperwork was finalized and I attended my ceremony of being sworn in as a citizen in San Francisco. The problem is , I received a certificate documenting that I am a citizen, my daughter never did get one due to there not being official paperwork during this time period. The fee to obtain this documentation has now increased to $520 and can be obtained whenever the parent or adoptee feels it is important to do so. This only applies to those children adopted from abroad between 2000- 2004. As an adult immigrant myself, I recommend that if this is your situation you do obtain this documentation and/or obtain a passport. As an adult immigrant myself, I have run into situations where I have to prove my citizenship, job applications, social security number etc and I find it is becoming more and more necessary in more and more situations, during our present times. Proof of citizenship is also a passport. I have a passport for my daughter. A passport is renewed every 5 years. The renewal process entails: an in person appearance with the application paperwork and be prepared to give up the original documents for proof of adoption + her state adoption certificate + the old passport while the application is processed. Living in America is wonderful and for all immmigrants, at times it is challenging if you do not have the right piece of paper on hand when you need it most to prove citizenship.